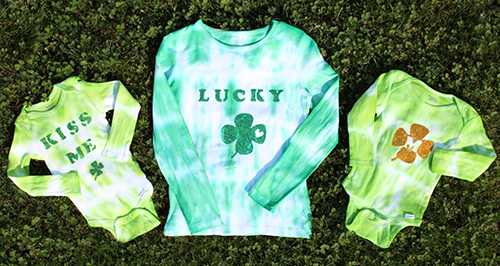 St. Patrick's Day is around the corner and it's the perfect time to celebrate all things green! 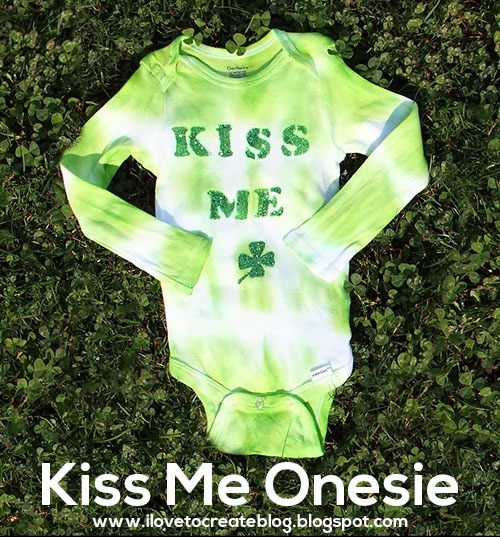 I was given the task to create some fun DIY wearabls for kids for the season, and I thought glitter and tie dye was just the ticket for all the little leprechauns out there! Here's how simple it is to get the look! 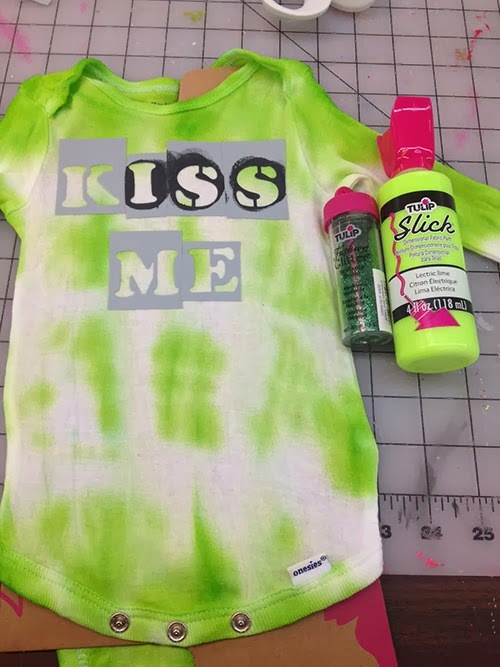 Remove your stencils from the sheet and apply them centrally on your shirt to say "Kiss Me". Squeeze out some of the lime paint onto your paper plate and dip your pouncer brush into it. Tap off the excess, then pouce into your "Kiss Me" stencils. Next shake on the Fashion glitter over your phrase, covering up the paint you just applied! I also added a four-leaf clover to my design and sprinkled the glitter on top of it. After that, I shook it off and onto a sheet of paper to catch my glitter (to pour back into the jar). i let it try for several hours and it was ready to wear! I had so much fun with this one that I decided to make more! I can't get enough of glitter and tie dye!